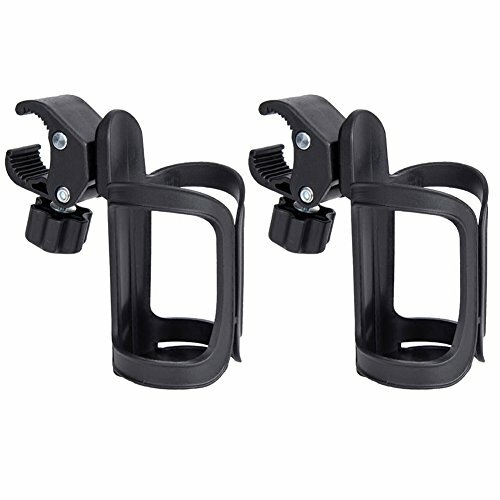 This cup holder for strollers is a necessary accessory that offers much more convenience which helps to increase the functionality baby strollers as well. 360 degrees rotated, can adjust to any angle. It is no-fuss design, simple, durable and very affordable as well. Fits most baby stroller, pushchair bicyle, umbrella car, strollers, bike and mountain bike. Easy to install, you can get it ready without any tools, simple to keep your stroller tidy and clean. Holder can be rotated 360 degrees it can be fitted on handlebar, under seat, down tube, fork, front pipe. High quality of durable ABS plastic material and metal parts, very durable. Designed for keeping cups, cans and bottles. View More In Parent Cup Holders. If you have any questions about this product by Olpchee, contact us by completing and submitting the form below. If you are looking for a specif part number, please include it with your message.